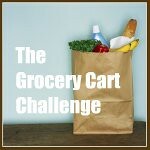 The Grocery Cart Challenge: Great Site For New Recipe Ideas! 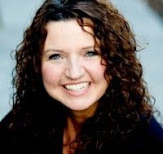 Great Site For New Recipe Ideas! I don't know if you've seen this site or not but not only does it post yummy, healthy, low calorie recipes but alot of them are very frugal and simple to make. It's called Diet Recipes Blog and the pictures are enough to make your mouth water. Go take a look! Also, the recipe swap this friday will be Favorite Potluck Recipes. It seems all summer is full of potlucks and picnics for me so I thought it would be fun if we shared our ideas. So I'll schedule the recipe swap post to go up at 12:01 AM PST on Friday. What a neat site! Thanks for sharing! I LOVE it. In fact, the salad that she has up right now is awesome looking. Sorry I didn't get recipes posted this past week during the swap - I was uninspired for some reason and couldn't think of a dang thing. Thanks, Gayle. I'll have to check that one out. Great site!! I'll be there often.